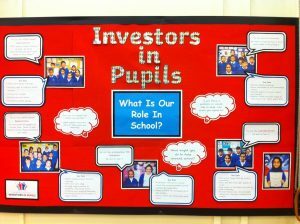 We Are An ‘Investors in Pupils’ School. We encourage all of our pupils to express their opinions and have their say in making decisions which affect the school. Pupils voice is integral at Horton Park. Pupils make positive contributions to the running of school and we have three pupil bodies: School Council, SCOFF (School Council of Food) representatives and an Eco Committee. 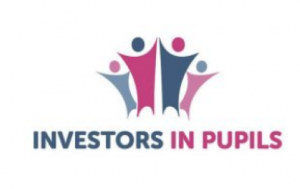 In July 2017, we had our first ‘Investors in Pupils’ assessment which went extremely well. The “School should continue to work with its pupils on future school development and improvements and consider how your Investors in Pupils provision can be shared with other schools.” The assessor went on to say “All stake holders have embraced the standard and worked hard to make it succeed….The result is a quality of work usually not seen until schools are reaching their second or third assessments”. Why Become An Investors in Pupils School? Attendance: pupils know the importance of coming to school every day and are rewarded for good attendance. Behaviour: pupils follow the school rules and positive behaviour is rewarded. Classroom Management: pupils have roles and responsibilities and manage their class resources. Induction: pupils prepare ‘Induction Booklets’ to help new people know the rules and systems of their class. Everyone is inducted into school seamlessly and effectively. Learning: pupils have personal and class targets which help them to improve. How does Investors in Pupils work at Horton Park? Each classroom has an Investors in Pupils display. These are updated every half-term to include pupil’s personal target, their class target and agreed rewards. Pupils set their own targets and review with an adult. At the start of the year, pupils and staff agree on a Vision Statement – how they envisage their class to be. Throughout the year, pupils refer to their Vision Statement and measure how they are doing. All classes create ‘Induction Booklets’ which contain the key information anyone joining the class would need to know. ernors are unpaid and support the Senior Leaders to make further improvements to school. KS2 know there are different types of Governors (e.g. parent, staff) and they deal with complaints and allocate budgets. In November 2018, over 90 pupils took part in Pupil Takeover Day by carrying out the role of adults around school. This experience gave pupils an invaluable insight in the day-to-day role of adults and the responsibilities they have towards pupils’ education. They are learnt that adults are continually learning through training and development. 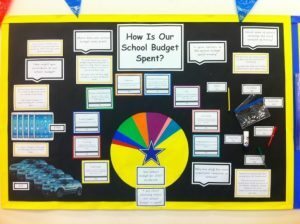 We have also been learning about how our school budget is spent and that it comes from central government. Pupils know that staff are the school’s most valuable resource (over 60% of our budget is spent on staff wages) and know the cost of basic stationary. Pupils understand the need to respect resources and how everything has a price. Each class has a budget and Key Stage 2 pupils can order stationary for their class. In June 2017, we launched the ‘Fuel for School’ project and Year 5 and 6 take part in the Young Enterprise ‘Fiver Challenge’. Pupils sell a product or service after carrying out extensive market research and pitching their ideas to the ‘Dragons’ – Mrs Rahman and Miss Bahadur. How Are We Continuing To Develop The Award? This year, pupils nominated a charity and will be raising money throughout the year in support of them. All classes have been assigned a budget and pupils will manage this with the support of adults. Pupils will continue to order items for their class and forward plan to ensure they have enough funds for the year. Each class has been given £30 at the start of the year. For every item of stationary which is misplaced or damaged, the cost of replacing the item is taken off the £30. Whatever money is remaining at the end of the year, pupils will spend as they wish.